In this recent Smithsonian.com article, Innovator Kevin Ashton describes the “Internet of Things” (IoT) – a term he coined himself. Behind the scenes, the skill sets of the employees who design and produce these ever-improving smart devices have shifted. In the (not-too-distant) past, the engineers worked on building the “things” and the IT professionals worked on building the computers. But as time and gadgets change, so do the demands of the workforce. Thanks to the continuing advancement of everyday consumer smart devices, engineers and IT professionals now have to find new ways to collaborate and even cross-function. Smartphone technology has led to quicker advancement in other sectors of the “Internet of Things”, such as robotics. In fact, mobile technology companies are broadening their portfolios. In February 2015, one of North America’s largest consumer drone producers, 3D Robotics, raised $50 million with help from Qualcomm, a world leader in next-generation mobile technologies. 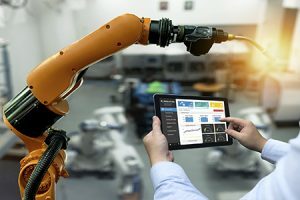 3D Robotics will use the funding to boost product development, but will also utilize “Snapdragon”, Qualcomm’s proprietary chipset system used in smartphones, tablets and smartbook devices. While we’re only a handful of years into the consumer sale of drones, 3D Robotics recognizes the need to shift its mindset on how future employees are being educated. In February, the company launched DroneEDU, an initiative that sponsors high school and university programs that wish to research and use drone technology. According to 3D Robotics, “The next generation of innovators—the kids who grow up with a smartphone in their pocket and learn how to code in grade school—will be the ones who will really take UAV [drone] technology to the next level.” As a result, colleges and universities all over the world are modifying their curriculums and adding programs that combine training in both mechanical engineering and IT-based computer technologies. 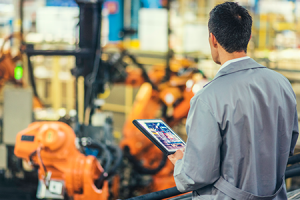 Even as some educational institutions are combining elements of engineering and information technology into one program, the reality is that the majority of today’s “Internet of Things” workforce is still separate. But that’s not necessarily a bad thing. Achieving the greatest returns for your IoT project requires that you have the right people from both IT and engineering to innovate, develop and implement. Interested in learning more about how these and other positions factor into the creation, development and delivery of smart products? Download part one of our new white paper series — The Internet of Things and its Impact on IT and Engineering” — now.